NuPura Spa is proud to offer CND products in Liverpool. 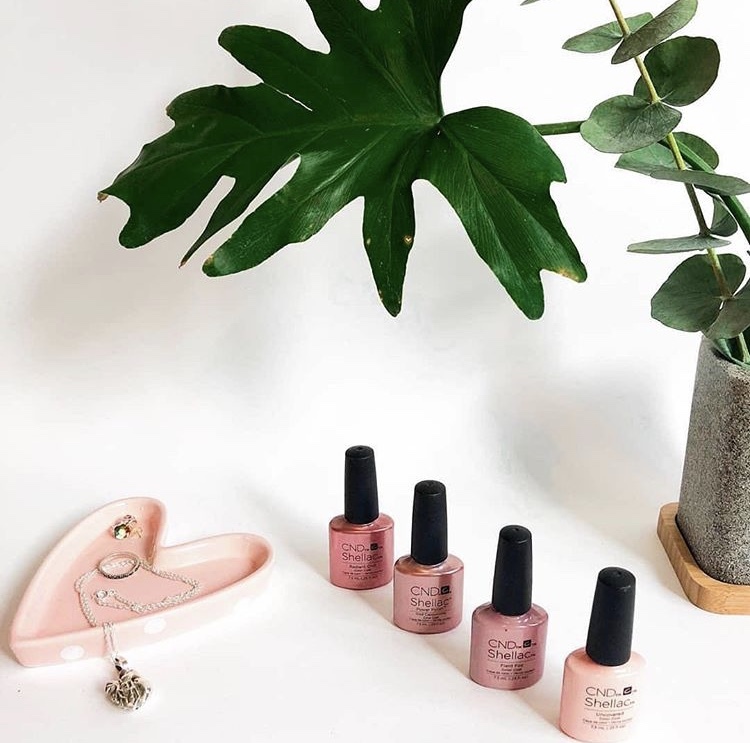 The global leader in professional nail, hand and foot beauty, CND’s Shellac® and Shellac Luxe® Nail Colour is a salon favourite and a treatment that we are delighted to specialise in. Each of CND’s products are meticulously researched and tested at the brands state-of-the-art laboratories, ensuring the ultimate in aesthetics, performance and reliability. Discover our CND treatments here. CND Shellac® and Shellac Luxe® is a glossy, hard-wearing manicure that lasts two weeks and takes seconds to dry. NuPura Spa & Beauty over 100 CND Shellac® and Shellac Luxe® colours, including metallics, glitter and French polishes. We regularly update our range with new seasonal and special edition shades (keep an eye on our social media pages for new arrivals). Shellac® and Shellac Luxe® soak off is free when returning to the salon for a new nail treatment. Vinylux™ is a salon treatment that provides one week wear without chipping or cracking and is available at NuPura Spa & Beauty over 100 stunning shades. Each colour has a built-in base coat that allows a quick and precise application in the hands of our experienced and fully-trained therapists. Vinylux™ can be used on natural or enhanced nails and its topcoat even gets stronger with exposure to natural light.